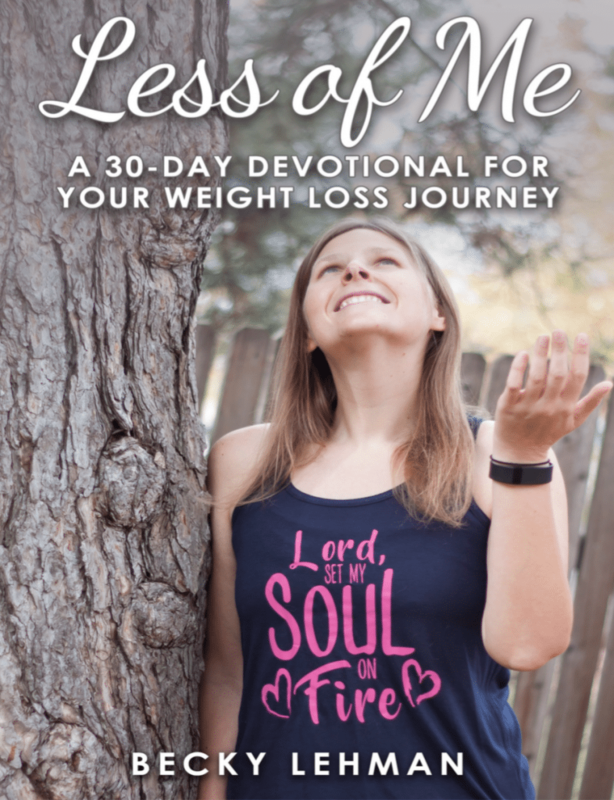 Less of Me is an ebook devotional that dives underneath the surface of traditional weight loss advice and helps you break out of the cycle of yo-yo dieting by finding your worth in Christ. It will show you how to take care of your unique body, mind, and soul in realistic ways while fixing your eyes on Jesus. This 30-day journey offers you a daily Bible verse and short prayer to help you fix your eyes on Christ. Break the chains tying your worth to the number on your scale and trade your guilt for grace. Learn to rest in your identity in God and lean on Him for strength when your willpower gives out. Don’t get lost in the overwhelm of a million different weight loss plans. This devotional will walk you through practical steps you can take to change your health, one small change at a time. Build a healthy lifestyle that fits your schedule, your tastes, and your family. I didn’t use to think God could be a part of my weight loss at all. 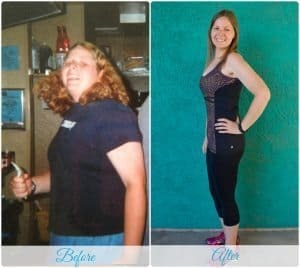 I struggled for years to lose the weight using my own willpower. After failing time and time again, I finally realized that I just wasn’t strong enough to do it on my own. 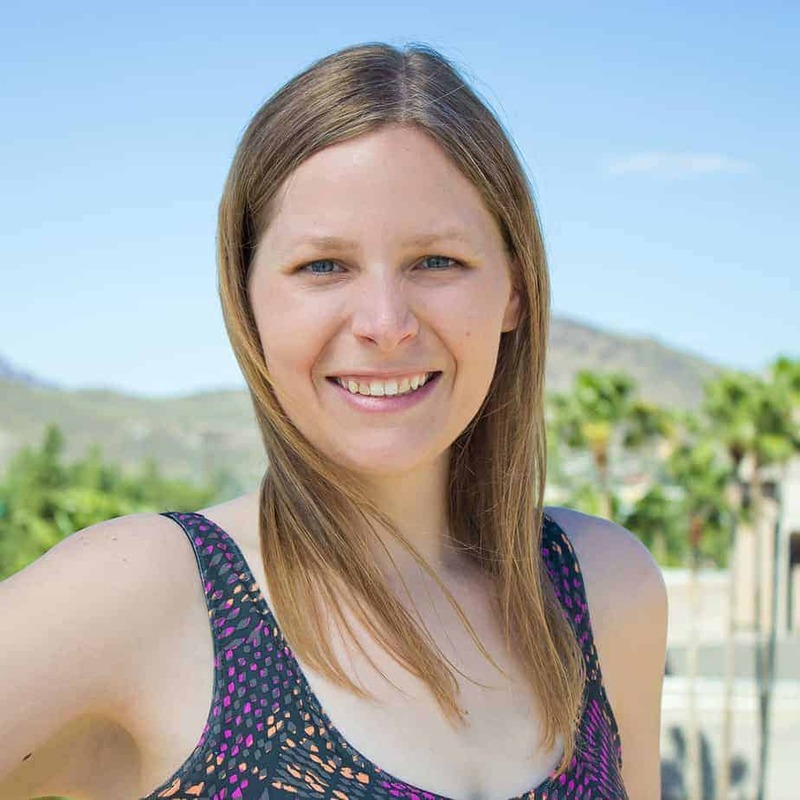 I started realizing that God cared about every detail of my life, including my healthy eating, fitness, and weight loss…and that changed everything for me. This Christian weight loss devotional gives you heartwarming encouragement and personal stories from my own 100-pound weight loss journey. 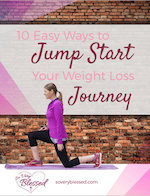 Your weight loss journey goes so much deeper than just losing weight. It’s about realizing your immense value and finding true freedom in Christ!